Airlines-Manager.com • Afficher le sujet - New schedule feature! 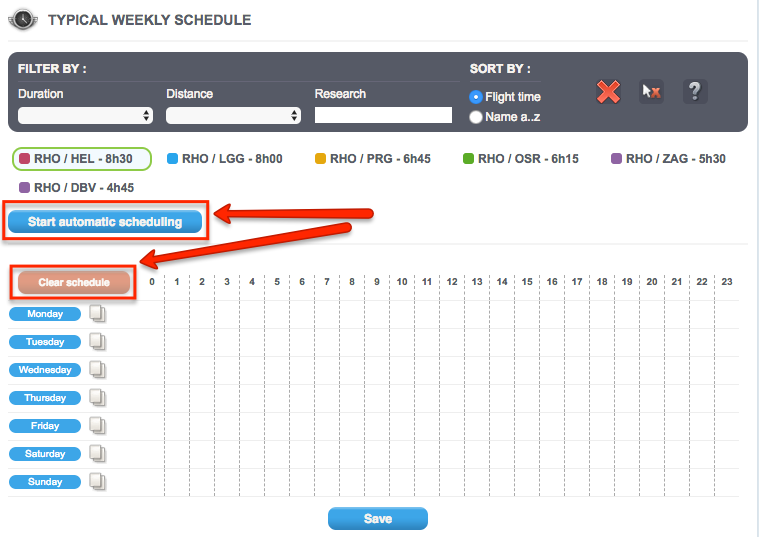 A new feature has just been added to flight scheduling on the web version, check out what has been improved below. First, a new button named "Clear schedule" was added next to your schedules to clear them easily without having to search for the corresponding option in the buttons above. 1. 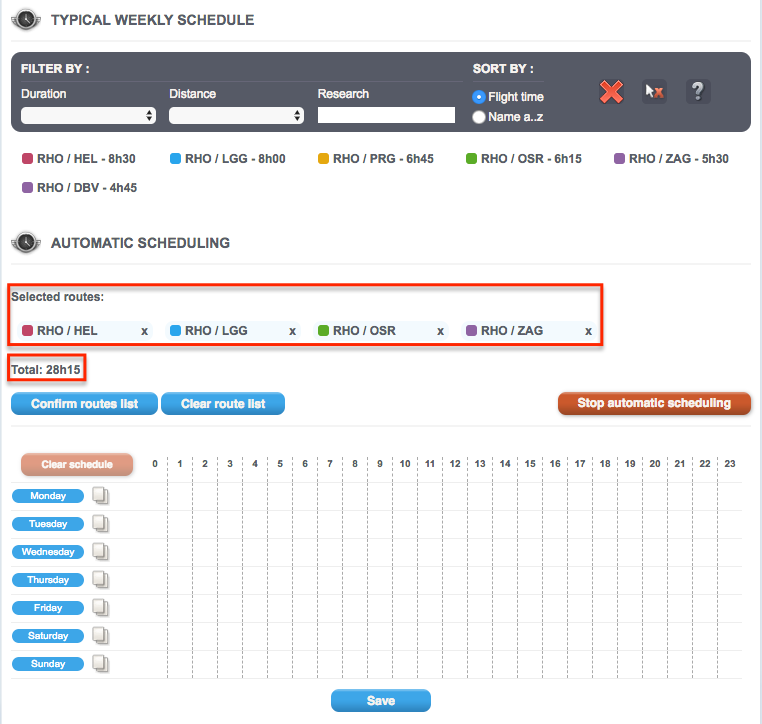 Click the button "Start automatic scheduling". 2. Click the routes to add to your weekly schedule. Note: you can add a route as many times as you want if you want to perform more flights on this route over the week. The total hours of flight appears below the added routes; you can add up to 168 hours (maximum over one week). 3. Click “Confirm route list”. You just have to move your mouse over the schedule and click on it to place the segment of your accumulated flights. 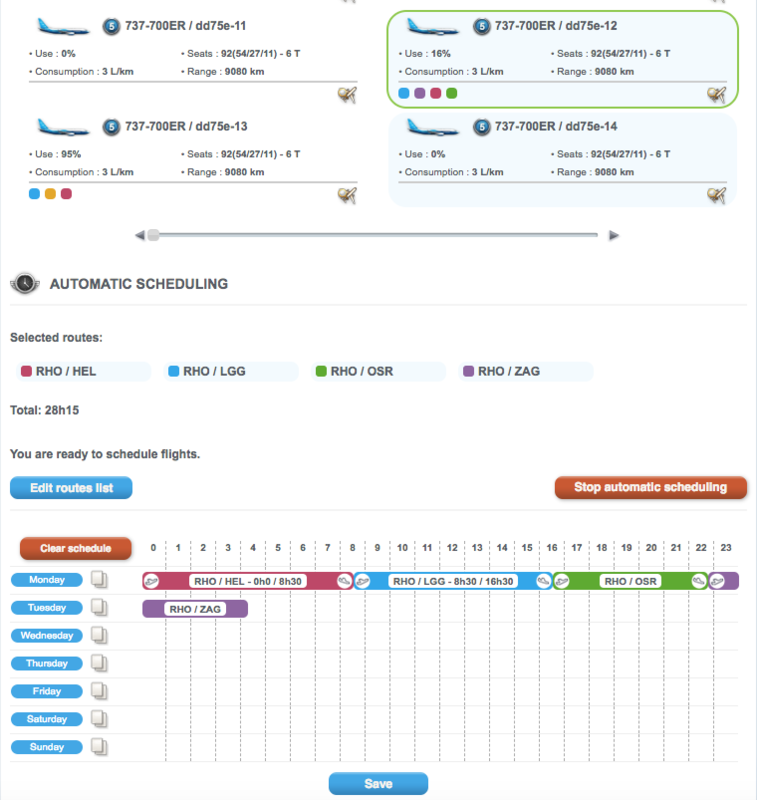 Finally, to schedule flights with another aircraft, you just have to select it in the list above without having to browse again through the route list. * If the previously selected routes are incompatible with the new aircraft (range too short compared to the route distance or aircraft category too high compared to the categories accepted on the route).